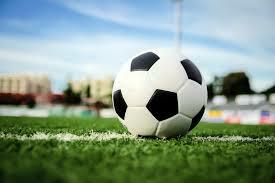 School soccer is available for both boys and girls from Reception to Year 7. For students in Year 2-7, fixtures and rules of play are governed by the Southern District Junior Soccer Association (SDJSA). Games for children in the Under 8s to Seniors are played on a Saturday morning between 8am and 12pm. They are played at home on our oval or away at other school facilities. Training is one night a week after school. For students in Reception and Year 1, children will play in the non-competitive Aliens team. The Aliens also train once a week on Saturday morning and when the older students play at home will have a ‘friendly’ match. Season and Carnival Dates: The season commences from 18th May to 24th August, with breaks for the school holidays and long weekends. Within that time there are carnivals in the evening at Bowker Street, Warradale. Dates for 2019 to be advised. Coaches/Team Managers: For a team to be entered coaches and team managers must be appointed. Training/Practice: To be confirmed due to numbers. Usually from 3.30pm for one hour, on the school oval, on a school night, which best suits the coach. Team Selection: Team selection is based on the registration requirements of the SDJSA who stipulate calendar year age groupings and not school-based year level groupings. Where possible, friendship groupings are considered. The soccer coordinator and coaches do their best to place students in teams. It is important that students understand they may not be placed in a team with friends. Soccer is a team sport and we encourage students to support their team and school. Uniform: Soccer shirts will be provided for all competing team players. Every player must also wear navy blue shorts, gold soccer socks, shin pads and soccer boots. Due to safety reasons, if a child arrives at practice or a match with no shin pads or boots they will be unable to play. Some soccer boots and shin pads are available for purchase at the second-hand uniform shop at school. SAPSASA: Players in Years 6 and 7 will have the opportunity to try out for the District Team, selections are made in accordance with the Craigburn SAPSASA Policy. Registration: Can be made via QKR!, online at Registration Form 2019 (click on link) or can be picked up from the front office. Please register your child(ren) BY THE END OF TERM 1 so that teams can be organised and ready to go at the start of Term 2. The date of birth and an email address are essential so please make sure they are filled in.